Does your kid always have a blocked sinus? You may not realize it, but chronic nasal infection can harm your kids dental health. When I first see a kid for their first dental check-up, one of the first things I look for are allergies. You might think: what does that have to do with my kids dental health? The answer might surprise you. Allergies can play a crucial role in childhood development of the face, jaw, and teeth. Allergies are a sign that your child should see their dentist. They can be an early warning sign that your child’s teeth aren’t growing properly. But they are also a sign of their immune health. The mouth-body connection is one of the best indicators of overall bodily health. Allergies can be an important indicator of poor dental health in children. One of the easiest things you can do for the health of your child is understand the mouth-body connection. What happens in our mouths affects the rest of our body. This is important in children because their future dental development is determined early in life. Does your kid’s dental health concern you? If so, you need to read ahead to learn more about this important mouth-body connection. Today, allergies in kids are a growing global epidemic. Food allergies, for example now affect close to 10% of kids. Kids’ allergies can cause a whole host of physical and dental problems. These problems can last into adulthood and can alter their quality of life. Allergies have a close connection to diet, digestive and immune system health. Allergies can often cause blocked sinuses that prevent nasal breathing in kids. The inability to breathe clearly will change the shape of their mouth and face. This will alter the development of their teeth. Kids dental health is important. It is vital that you understand the connection between allergies and crooked teeth. Some of the most common allergens tree pollen and other floral pollen. These allergies are the most common type. They tend to hit in the spring and summer. For some people, allergies can occur seasonally. That means that they get worse only during certain times of the year. This is most often with the pollen in the spring. For others, allergies are perennial. This means that they occur all the time, no matter what time of year. 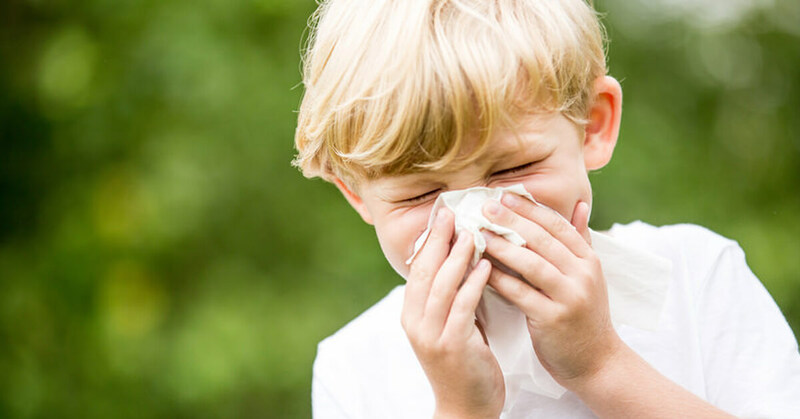 Aside from seasonal allergies to pollen or dust, kids today have many other causes of allergy. Allergic symptoms begin when your child’s immune system reacts to a trigger. These triggers are usually harmless to most but to others, are total irritants. These triggers are called allergens. If your child comes into contact with an allergen, their immune system will react. The immune system believes that the allergen is dangerous. It will release chemicals called ‘histamine’. Histamines are the bodies protection to the allergen. In allergy, too many histamines are released. This causes a whole host of unpleasant symptoms. If the allergen is something that breathed in, their reaction will likely affect their eyes, lungs, and nose. If it is edible, your child will probably experience symptoms in their digestive system and mouth. The most severe allergic reaction anaphylaxis. This can lead to a rapid onset of symptoms, some of which can even lead to death. The problem with allergies is that they are becoming much more common in kids. They can cause a variety of problems for your kid’s health. If you notice your child suffering from any sign of allergies, don’t wait. By treating their allergies early, you can help them avoid braces. You may wonder – how can allergies lead to crooked teeth? Breathing is one of the biggest influences on your kid’s dental health. Kids who suffer from allergies are more likely to have crooked teeth as they age. Allergic rhinitis are allergies that affect your kid’s face. They include a runny nose, watery eyes, sneezing and itchy eyes. Many adults and children who suffer from allergies over-produce mucous. The ‘hypersecretion’ of mucous can negatively affect kids’ dental health. Too much thick mucus and saliva can block airways. This causes children to snore and mouth breathe. These are factors that lead to crooked teeth – and the need for orthodontic braces. Crooked and crowded teeth are the result of improper breathing and airway health. Addressing your kid’s allergies is one natural remedy to prevent braces in kids. When your child suffers from any kind of allergic rhinitis, they will have trouble breathing through their nose. A stuffed up nose and blocked sinuses cause your child to breathe through their mouth. When a child makes a habit to mouth breathe, the development of their jaw and teeth is stunted. Dealing with this earlier will prevent real problems later on in life. Your child will breathe easier, and therefore they will suffer from fewer problems. Their jaw development will be healthier, and their teeth will grow straighter. Allergies can be a sign of poor gut health in kids. When it comes to our general health, the gut plays an important role. Your kid’s gut microbiome is responsible for many aspects of our health. It can affect digestion, energy levels, and your immune system. A healthy gut equals a healthy kid! Researchers are uncovering many links between gut health and allergies. The gut microbiome affects the development of the immune system. Allergies are a sign the immune system is over-reactive. Healing a child’s gut microbiota can help reduce their allergies and influence their dental health. With long term gut health many allergies or food intolerances can even be eliminated in the long-term. What can you do if your child has allergies? If your child has allergies, it is time to take action now. Allergies affect your kid’s dental and whole body health. The problems will cause lifelong developmental. By assessing their allergies and healing their gut health, you can change their lives for the better. Food intolerance tests – Make an appointment for your child to undergo food intolerance tests. These tests might be available through your GP or with a specialist. They will test for allergies and intolerances. These foods can be removed from the diet and re-introduced at a later point. Heal your child’s gut –Your kid’s dental health is closely related to their gut health. One of the biggest ways to influence your kid’s gut health is to change their diet. This includes eliminating harmful foods. These include refined sugars, refined flours, and processed vegetable oils. Consider replacing these foods with plenty of prebiotic fiber from vegetables, natural fats like coconut oil and probiotic fermented foods. Vitamin D testing – Vitamin D deficiency is very common in kids today. Check vitamin D levels, because this deficiency is a risk factor for allergies, digestive and immune disorders. Infant probiotics – An unhealthy gut can often be caused by an imbalance in bacteria. Probiotics can help rebalance the gut when too many ‘bad’ bacteria are present. These can include acidophilus tablets and fermented foods (such as sauerkraut, miso soup, and kimchi). Natural remedies for blocked sinus – If your child has a blocked sinus, consider a few natural remedies. A neti-pot works by flushing warm water or saline through the nostrils. Saline sprays can also flush the nose. Eucalyptus balms or oils can help clear sinuses of mucus. Remove harmful processed foods – refined foods such as sugar, vegetable oils, and refined flour are bad for both dental and digestive health. Control your child’s allergies by reducing these foods in their diet. If your kid suffers from allergies, and you want to prevent future problems, speak to your dentist or doctor right away. In some cases, your kid may need a team approach including specialists. This could include an allergist, ENT, an airway orthodontist, or even a sleep doctor. If your child suffers from allergies, you can download our free EBook for some simple dietary steps to have healthier teeth. Many kids today have allergies, so make sure to share this link with your friends, and subscribe to our mailing list today to stay up to date. Have you experienced kids with allergies? Let us know your experiences in the comment section below. My kids have a long list of allergies and abnormal teeth. My 7 year old son had to have surgery to remove over 12 teeth – most of them were “nerd teeth” in a big clump. My 5 year old has Enamel Hypomineralization, a congenital defect where he doesn’t have enamel on some of his teeth, which causes them to be chalky and vulnerable to damage. They both have a Candida Overgrowth in their intestines which caused Intestinal Permeability, food allergies, nutrient deficiencies and high Thyroid levels (two of my family members already have Hypothyriodism). I too have a Candida Overgrowth in my intestines, intestinal permeability, food allergies and gut issues. It really wouldn’t surprise me if my unhealthy microbiome or something else effected the way my babies teeth grew in utero. My 7 year old was also born with a birth defect of the eye too. He has to wear a patch and glasses. I don’t think it’s all just a coincidence.